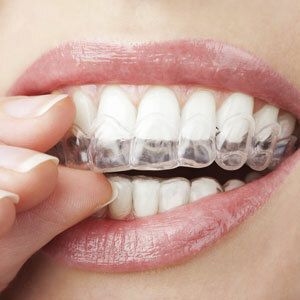 With Invisalign®, we can help you straighten your smile using a series of clear, removable alignment trays. It’s the perfect option for busy people! Hoppers Crossing Dental will send you home with several trays at a time, so that you can change them out on your own, every two weeks. Our patients love the added benefits that these “invisible” braces have to offer. Remove them and enjoy all your favourite foods. Instead of wearing conventional brackets and wires, Dr Nitsopoulos (Dentist) can align your teeth with the clear Invisalign system. They snap right over your teeth and are perfect for people who are hesitant about traditional orthodontic treatment. Do you have a gap or cross bite? Straightening them can make it easier to prevent problems like cavities or worn down bites. Contact us today to book a consultation with our Hoppers Crossing Invisalign provider.